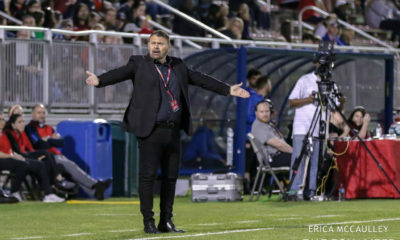 Portland brought the pressure from the opening whistle and kept the Pride pinned back in their own defensive half for the majority of the first half as the Pride dropped back and gave the Thorns as much space as they wanted. Several stellar saves from Ashlyn Harris kept the game scoreless until shortly before halftime. 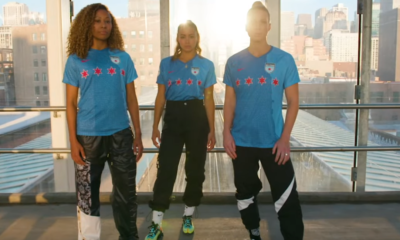 Tobin Heath dribbled across the box before backheeling it to Caitlin Foord, who took advantage of a cheating Harris and flicked in the opener. 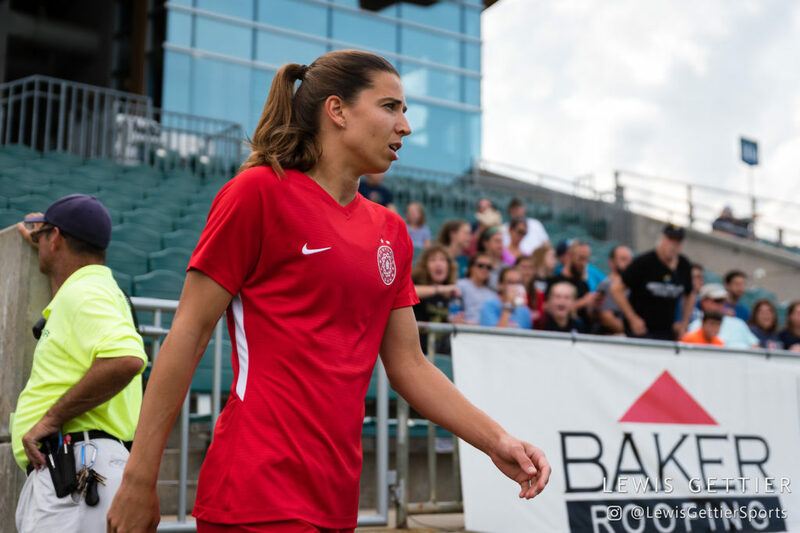 Just @tobinheath things on the assist. Just after halftime, Foord repaid the favor, receiving the ball on the right side of the box and flashing a low cross to the feet of Heath. 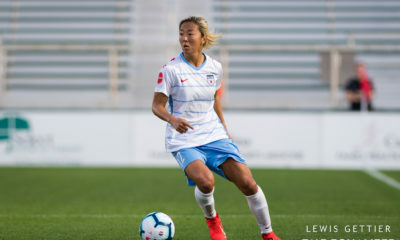 The winger may have had a little luck on it, as the ball wasn’t quite in front of her to catch her in stride, but she redirected it just enough even as she was falling to the ground to send it into the net. 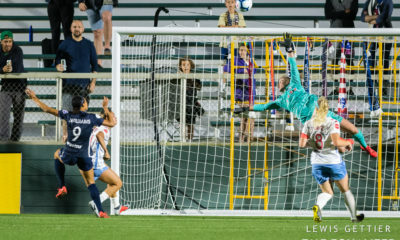 For the rest of the game, Portland had a few chances to extend their lead, including another opportunity for Heath when she intercepted the ball and was wide open, but her chip ended up being an easy save. 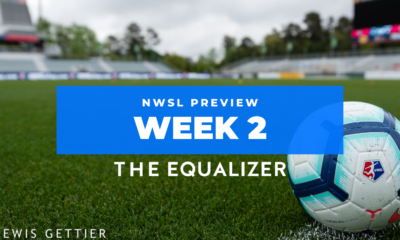 The Pride began to play their way back into the game, as Alex Morgan hit the woodwork twice and Kristen Edmonds missed a golden opportunity on a rebound, but it was all for naught. Orlando (0-1-0) travel to North Carolina on Wednesday before heading to Washington state on Sunday. Portland (1-0-0) next play in Chicago on Saturday. Jodie Taylor had the game-winning goal at her fingertips… or feet. Taylor ended up earning a penalty kick with seconds slipping away in the second half. Houston Dash goalkeeper Jane Campbell got mixed up with Taylor and ended up bringing her down inside the box. Campbell redeemed herself moments later, saving what was a soft penalty from Taylor. With the draw, the teams ending up with a point for the standings. Houston got on the board early. Nichelle Prince picked up a poor pass from the Reign FC defense. She ended up sending a powerful strike at a difficult angle past Michelle Betos, who started in goal over Lydia Williams. Meanwhile, the Reign ended up with an equalizer in the 58th minute. Jodie Taylor ended up finding new Reign FC forward Darian Jenkins. However, the Reign had a rough start from the get-go. Vlatko Andonovski was forced to make two early substitutions in the first half due to injuries. Jasmyne Spencer went down with a knee injury in the 26th minute. Taking her place was Elise Kellond-Knight, the Australian international. Meanwhile, in the 40th minute, Megan Oyster ended up leaving the match with an injury, being replaced by Kristen McNabb. Later on in the match, Spencer was seen on crutches going toward her bench. The Dash (0-1-0) will travel to New Jersey on Saturday to face Sky Blue FC (0-0-1) in their home opener at Yurcak Field. Meanwhile, on Sunday, the Reign FC (0-1-0) will host the Orlando Pride (0-0-1) on Easter.